Lone Star trim, Bright White Clear Coat exterior. Back-Up Camera, WiFi Hotspot, Alloy Wheels. EPA 22 MPG Hwy/15 MPG City! SEE MORE!======KEY FEATURES … INCLUDE: Back-Up Camera, Trailer Hitch, Chrome Wheels, WiFi Hotspot. Privacy Glass, Keyless Entry, Child Safety Locks, Heated Mirrors, Electronic Stability Control. 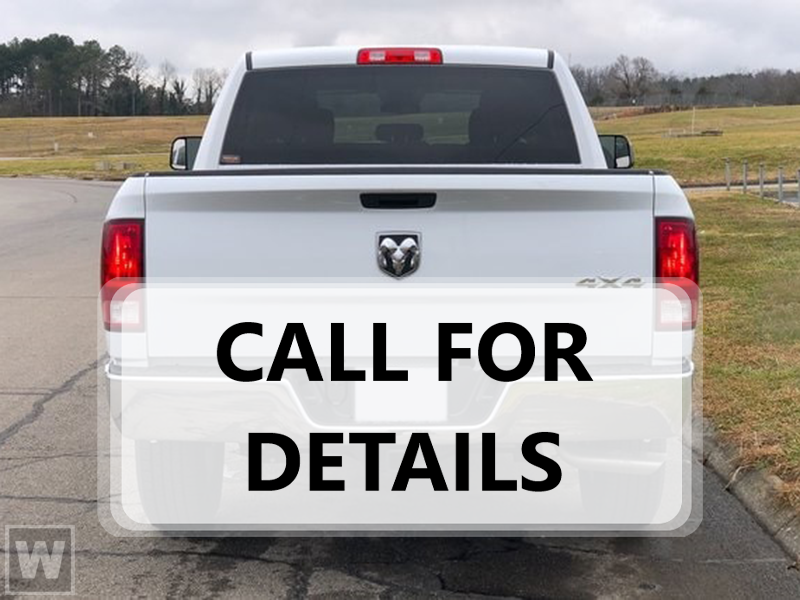 ======OPTION PACKAGES: ENGINE: 5.7L V8 HEMI MDS VVT (STD), QUICK ORDER PACKAGE 27R LONE STAR Engine: 5.7L V8 HEMI MDS VVT, Transmission: 8-Speed Automatic (8HP70) (DFD), LED Bed Lighting, Cluster 7.0 TFT Color Display, Overhead Console w/Garage Door Opener, Lone Star Regional Package, Dual Rear Exhaust w/Bright Tips, USB Host Flip, Google Android Auto, 1-YR SiriusXM Guardian Trial, HD Radio, Media Hub (2 USB, AUX), SiriusXM Satellite Radio No satellite coverage in Hawaii or Alaska, Air Conditioning ATC w/Dual Zone Control, 8.4 Touchscreen Display, Apple CarPlay, Humidity Sensor, ParkSense Ft/Rr Park Assist System, Lone Star Badge, Universal Garage Door Opener, Rear View Auto Dim Mirror, Power-Folding Mirrors, Security Alarm, TRANSMISSION: 8-SPEED AUTOMATIC (8HP70) (DFD) (STD), ANTI-SPIN DIFFERENTIAL REAR AXLE. ======EXPERTS ARE SAYING: Great Gas Mileage: 22 MPG Hwy. ======VISIT US TODAY: Visit All American Chrysler Jeep Dodge of San Angelo today at 4310 Sherwood Way, San Angelo TX and experience our high-standard, pressure-free approach for yourself. As hundreds of drivers in the greater San Angelo area already have, you're certain to see the difference immediately. Plus TT&L and fees. Price contains all applicable dealer incentives and non-limited factory rebates. You may qualify for additional rebates; see dealer for details.